Here is the list of the hotels near Corme-Écluse. Book your hotel near Corme-Écluse today, Friday 10 May for the best price, reservation and cancellation free of charge thanks to our partner Booking.com, leader in on-line hotels reservation. Below here is the list the 50 closest hotels of Corme-Écluse, sortable according your criteria. You will find the position of these accommodations on the Corme-Ecluse hotels map. Villa Maison Individuelle 3 is set in Saint-Georges-de-Didonne. 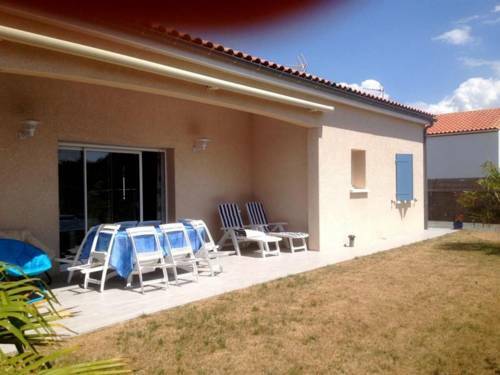 The property has garden views and is 5 km from Royan. The villa is fitted with a TV. The kitchen features a dishwasher. Saintes is 39 km from the villa, while Rochefort is 44 km away. La Rochelle - Ile de Re Airport is 82 km from the property. Offering a bar and a restaurant, Auberge Le Chata is located in Saint-Georges-de-Didonne. Free WiFi access is available. Some bedrooms have a private bathrooms and some share a bathroom. Some bedrooms come with a DVD player. At Auberge Le Chata you will find a garden and a terrace. An array of activities can be enjoyed on site or in the surroundings, including cycling and hiking. Mérignac Airport is 89 km away. The property offers free parking. House St georges de didonne, maison spacieuse proche centre ville et plage is set in Saint-Georges-de-Didonne. 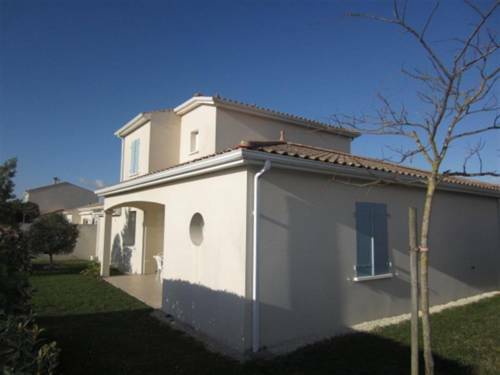 The property features garden views and is 4.2 km from Royan. The holiday home has a TV. The accommodation is fitted with a kitchen. Saintes is 39 km from the holiday home, while Rochefort is 44 km away. The nearest airport is La Rochelle - Ile de Re Airport, 82 km from House St georges de didonne, maison spacieuse proche centre ville et plage. Located on the western coast, this residence is 800 metres from the sea. It offers maisonettes with a furnished patio and a kitchenette fully equipped with a mini-oven. The maisonettes are all equipped with a TV. Each non-smoking maisonette features a dining area and a living area with a sofa bed. All apartments at Lagrange Vacances Les Maisons de St Georges have a private bathroom with a shower. The kitchenettes at Les Maisons de Saint Georges include a fridge and a coffee maker. The town centre of St-Georges de Didonne is 500 metres from the residence. Free private parking is available on site. House St georges de didonne, maison individuelle neuve, proche plage et centre ville is situated in Saint-Georges-de-Didonne, 4 km from Royan. Saintes is 32 km from the property. There is also a kitchen, fitted with an oven, microwave and fridge. Every unit features a private bathroom with free toiletries. Rochefort is 38 km from House St georges de didonne, maison individuelle neuve, proche plage et centre ville. The nearest airport is La Rochelle - Ile de Re Airport, 66 km from House St georges de didonne, maison individuelle neuve, proche plage et centre ville. 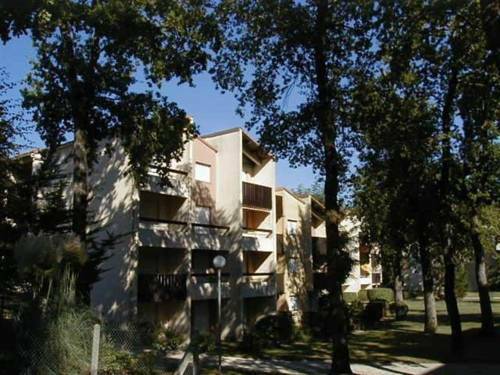 Rental Apartment Residence Dune Plein Sud is situated in Saint-Georges-de-Didonne. This apartment features accommodation with a terrace. The apartment features a kitchen with a dining area, a bathroom and a washing machine. A TV is offered. Royan is 4.3 km from Rental Apartment Residence Dune Plein Sud. La Rochelle - Ile de Re Airport is 66 km away. Located in Saint-Georges-de-Didonne, MobileHome familial près de Royan offers accommodation with a seating area, a flat-screen TV and a kitchen. An oven and microwave are also available, as well as a kettle. Royan is 5 km from the camping, while Saintes is 40 km from the property. The nearest airport is La Rochelle - Ile de Re Airport, 83 km from MobileHome familial près de Royan. Guest accommodation Saint-Georges-de-Didonne Preferred hotel ! With mountain views, Camping les CATALPAS is located in Saint-Georges-de-Didonne and has accommodation with a kitchen. There is also an oven, microwave and a coffee machine. The camping offers a seasonal outdoor pool. Guests at this property can enjoy cycling and fishing nearby, or make the most of the sun terrace. Royan is 3.7 km from Camping les CATALPAS, while Saintes is 39 km away. The nearest airport is La Rochelle - Ile de Re Airport, 82 km from the accommodation. Offering an outdoor swimming pool open all year, a restaurant and a snack bar, Domaine Résidentiel de Plein Air Les Catalpas is a campsite located in Saint-Georges-de-Didonne. The mobile homes here will provide you with a terrace. There is a full kitchenette with a microwave and a refrigerator. The private bathrooms come with a bath or shower. At Les Catalpas, facilities include entertainment staff, a shared lounge and a games room. An array of activities can be enjoyed on site or in the surroundings, including table tennis. The property offers free parking. The beach is 1.7 km away. This campsite is 90 km from Mérignac Airport. Apartment St georges de didonne, appartement dans petite residence proche plage is set in Saint-Georges-de-Didonne. The accommodation is 3.9 km from Royan. A dishwasher, an oven and a microwave can be found in the kitchen and there is a bathroom. Saintes is 32 km from the apartment, while Rochefort is 38 km from the property. The nearest airport is La Rochelle - Ile de Re Airport, 66 km from the property. Located 3.9 km from Royan, Apartment St georges de didonne studio dans residence boisee proche centre ville offers accommodation in Saint-Georges-de-Didonne. The unit is 32 km from Saintes. The kitchen has an oven. Rochefort is 38 km from Apartment St georges de didonne studio dans residence boisee proche centre ville, while Saint-Palais-sur-Mer is 8 km from the property. The nearest airport is La Rochelle - Ile de Re Airport, 66 km from the property. Apartment Pré Catelan is located in Saint-Georges-de-Didonne. Guests staying at this apartment have access to a fully equipped kitchen. The apartment is fitted with a TV. If you would like to discover the area, cycling is possible in the surroundings. 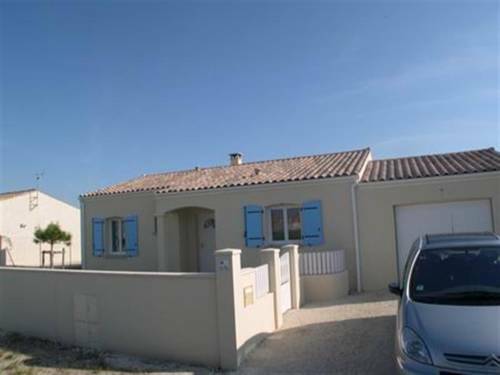 Royan is 5 km from the apartment, while Saintes is 39 km from the property. The nearest airport is La Rochelle - Ile de Re Airport, 83 km from the property. Below here is the hotels map of Corme-Écluse. Names and details of Corme-Écluse hotels can be shown on the map clicking on the prices icons.